Dubbed 'Suitcase Connectors' by expert model railroaders, these Insulation Displacement Connectors (IDC's) let you connect track feeder wires to main bus (power supply) wires without having to strip or solder. Simply place the connector over the wires and crimp the metal tab with pliers. The tab pierces the insulation and locks the wires together. Snap the lid shut, and you're done! Our IDC's are top-quality 3M Scotchlok brand. 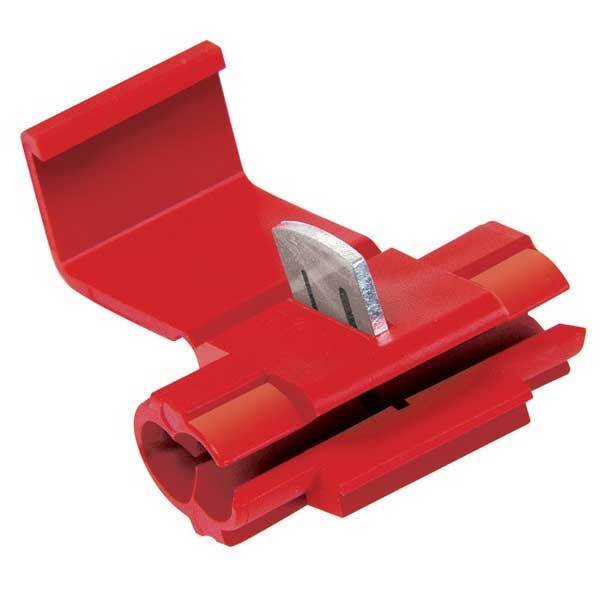 #84022 Suitcase Connectors (IDC #905 Red) for bus sizes #14-18 (max insulation OD .145 inch) with feeder sizes #18-22 (max insulation OD .110 inch). Package of 25.